Why does it take as long to "initialize type tool" as it does to boot OSX? 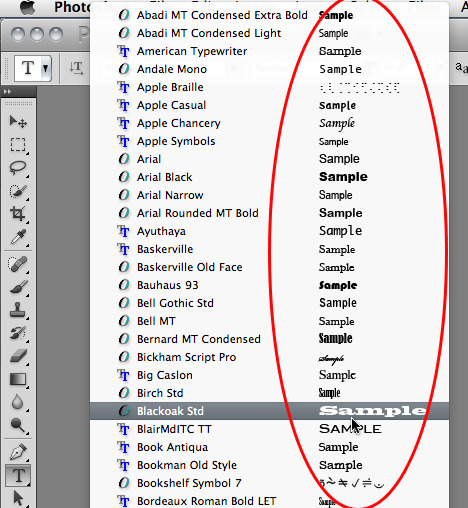 There is no "Font Preview Size" checkbox in Photoshop CC! But even if there was, what we all want to know is, how do we disable the stupid Type Tool entirely? I don't care about duplicate fonts, bad fonts, or the entire boat load of excuses that supposed know-it-alls are giving us in order to main the status quo of slowness. 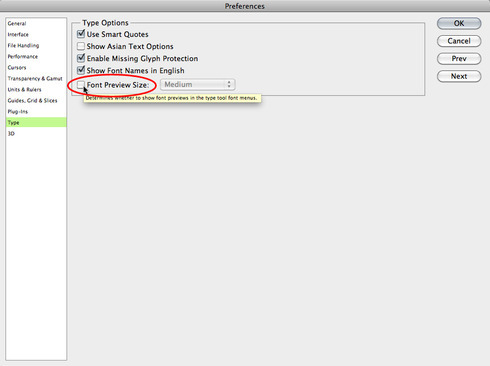 The fact is that the Type Tool is dog slow and I therefore couldn't care less about what benefits it brings to me. I want to kill it completely. Give us exact steps on how to do just that. It moved to the Type menu. You cannot disable the type tool. The type tool might be slow FOR YOU, but for millions of other users, it works just fine. You need to fix the problems (bad fonts, or corrupt OS font cache) on your system that are causing it to run slow on your system. I'm with FreFree. Give us a way to disable it. Yes it is useful for millions of users. It would also be useful for millions of users to be able to disable it. Thank you. 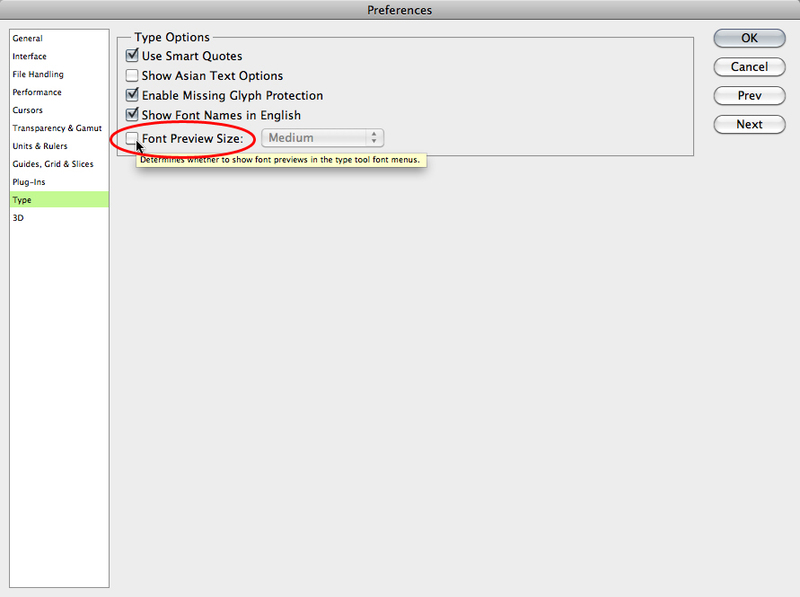 Again, there is no reason to disable the type tool. You can already disable the font previews. Problems with type beyond that are due to corrupt font files or the OS font cache - which you can't avoid and need to repair on your own system. Those corrupt files do cause problems in other applications as well. Most people are not real designers so that comment above is really stupid. Secondly, as a real professional designer, that has multiple clients across many different genres, I have over 10,000+ fonts that Adobe should have anticipated since it is what most professionals use. This is crazy!!! !